X-Stand banners are lightweight, yet strong and durable . 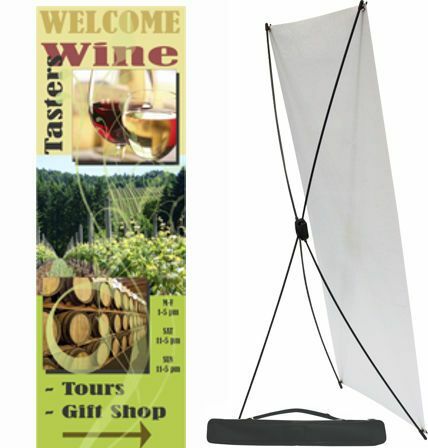 Easy to setup and store, with banner art that is interchangeable. X-Stands are available in sizes from 24" x 64" to 34" x 76"